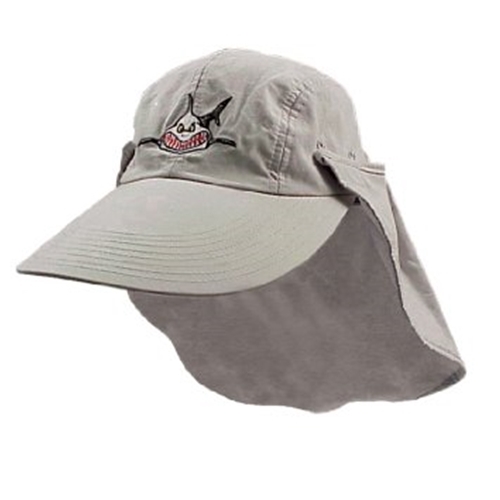 Have a question about the Long Billed Outdoors Sharky Hat with Sun Shade? Long Billed Outdoors Sharky Hat with Removable (velcro attached) Sun Shade. OK, this hat has a long bill and a velcroed back portion that keeps the sun off my nect. This way I can do my best trying to keep the sun off as well as not joining the skin cancer clinic. Thanks! !